All translators and interpreters have heard this statement, or something to this effect, at least once in their life. The person uttering these words is probably attempting to show his or her sincere admiration towards the fascinating decipherer of foreign tongues; however, the reaction of the professional translator or interpreter receiving said praise is likely to be one of dejection or irritation. Why? Because the innocent compliment-paying speaker has committed the cardinal sin of the translation and interpreting industry: failure to appreciate the difference between these two roles. This post aims to dispel any doubts pertaining to these two professional figures once and for all and give a detailed description of each role, thus dotting the I’s (for interpreters) and crossing the T’s (for translators). What is the key difference between a translator and an interpreter? 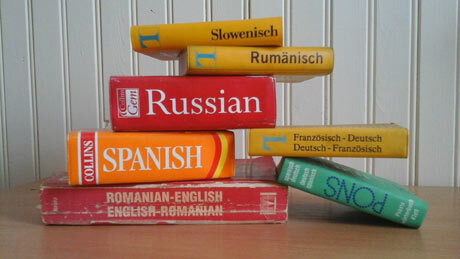 The role of a translator is to transfer a written text from a source language to a target language; the latter should be the translator’s native or native-like language. The role of the interpreter is to transfer oral speech from a source language to a target language, and, potentially, back. Therefore, both professionals transfer language but, just as a great writer is not necessarily an effective public speaker, a translator is not inherently a good interpreter (or vice-versa). Each role requires a different set of skills. Excellent reading skills. The effective transfer of a message across languages hinges on perfect comprehension of the source language(s). Excellent writing skills. The end-product in the target language(s) must sound natural, idiomatic, and be effective. Excellent analytical skills. Great attention is to be paid to conveying details and nuances, detecting typos, proofreading and editing. Excellent IT skills. This ranges from the more basic keyboarding skills and use of word processing tools, to the more advanced Computer Assisted Translation (CAT) tools which play an ever more pivotal role in the translation industry. Excellent listening skills of the language(s) being interpreted. Excellent speaking skills in the target language(s). This includes clear enunciation, voice projection and discourse structuring. Excellent memory and note-taking skills. 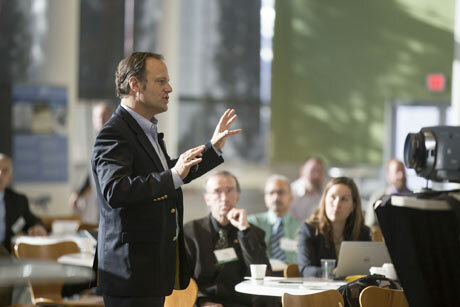 Interpreters must be aware of the different techniques they can use to gather and organise the speaker’s information, so it can then be relayed in the target language. Excellent interpersonal skills. Interpreters deal with humans, so they must pay attention to aspects such as body language, non-verbal cues, and cultural differences, to name but a few. There are, of course, certain skills which overlap: both are expected to have proficient or native-like knowledge of their foreign and source language(s) and culture(s), and they will, preferably, possess specialist knowledge of one or more areas of expertise. The above-listed skill sets are not inborn; they must be taught and assimilated. Unfortunately, the industry is teeming with people who improvise the role of translator or interpreter, using their bilingual or bicultural status to substantiate the claim that they are ‘professionals’. Although these attributes stand people in good stead, they cannot substitute formal training: we can all rustle up a good meal for our friends and family without having attended cooking lessons, but this does not make us a professional chef. It is important to learn and hone the skills required to perform either role and there are many universities and institutions around the globe which offer translator or interpreter qualifications, from degrees (BAs or Master’s) to certifications. It would be impossible to list all institutions; what’s more, specific regions, countries and even cities may adopt their own requirements and criteria. It is therefore advisable for people interested in gaining these skills to research the options available in their own country. Once in possession of a qualification, it is worth joining a global or national translator or interpreter association to keep updated on what is happening in the industry, to find translation or interpreting work and to network with fellow professionals. Google Buds: The new kid on the translation block?